This kit contains all the parts necessary for converting a cuplex kryos NEXT, cuplex kryos NEXT VARIO, or cuplex kryos NEXT VISION cooler for use on a motherboard with 1156/1155/1151/1150 sockets. This requires exchanging the stainless steel brackets. 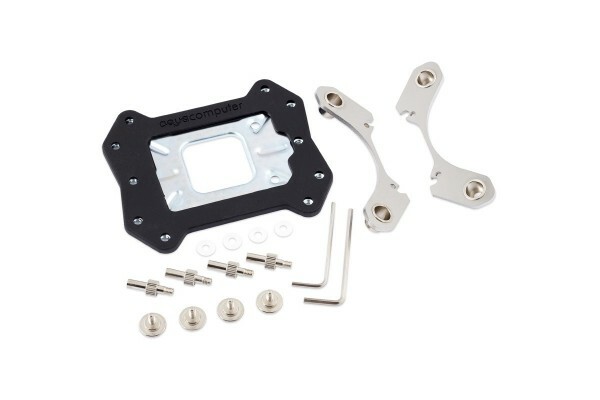 This retrofit kit also contains assembly materials and a backplate. Please note: not intended for the acrylic-glass version! The picture is for 115x and the name is for AM4. Which is right?